Special Event > Planning > Happy Election Day! Happy Election Day! We hope everyone is getting out there today and exercising their right to vote! Don’t worry – we’re not stuck in the office all day, we’re excited at GigMasters HQ to rock the vote. But, that doesn’t mean we don’t also have some time to blog. 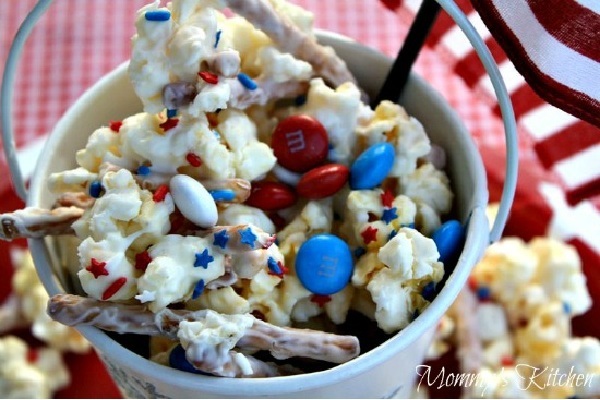 In honor of Election Day – we’ve put together some fun treats that have real patriotic spirit! 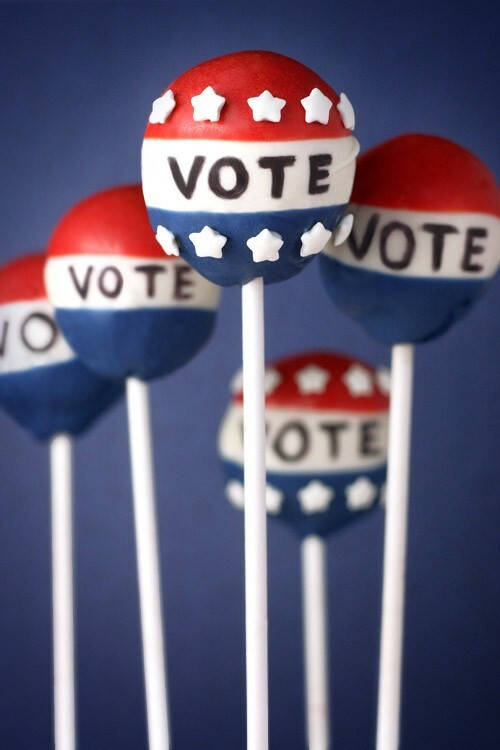 Let’s start with these fabulous “Vote” cake pops from Bakerella. Personally, I think they should give these after you vote – much more tasty than stickers! 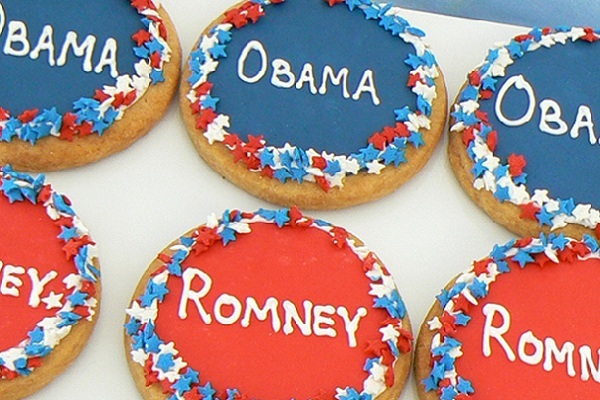 Show everyone know which presidential candidate you support with these Obama and Romney cookies from Night Kitchen Bakery. If you want your treats to be more impartial – this political popcorn from Mommy’s Kitchen looks tasty and surely wins my vote. 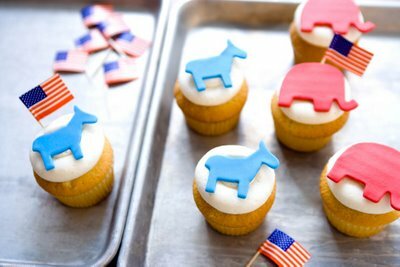 Both Democrats and Republicans should be able to appreciate these fabulous election cupcakes from Delleicious. All this yummy food reminded us that you also need a delicious drink to wet your whistle. 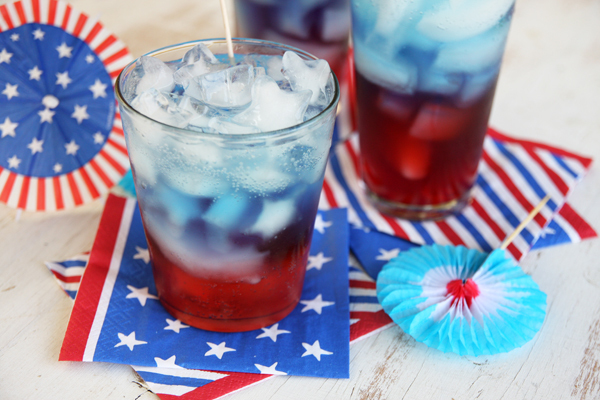 This layered patriotic punch from Our Best Bites would surely do the trick. That’s it for our yummy inspiration. Don’t forget to get out and VOTE! What do you think of these Election Day treats? Share your thoughts in the comments below.